Um, so how did I not realize how amazing Amy Butler fabric is? Why didn’t you guys tell me??? These are the beauties I got with my Red Pepper Quilts / Southern Fabric gift certificate. Thanks so much to both you ladies! It is a very good thing that I already had a plan in mind for these when I ordered them because otherwise they’d clearly be too pretty to ever cut into. I’m experimenting with eliminating solid backgrounds a la Sarah Fielke. 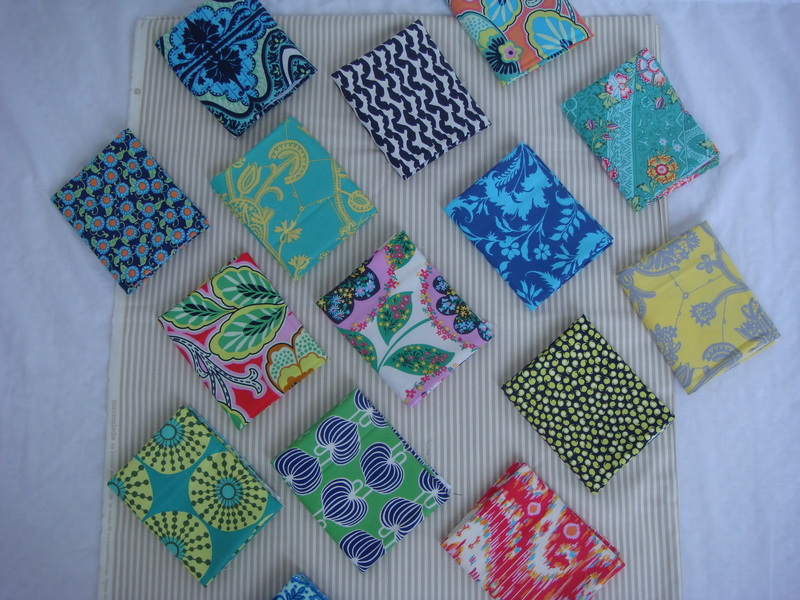 In other news, how cute do those fat quarters look folded Jeni Baker style? I’m loving it. Hopefully I’ll be able to share my first block for WIP Wednesday late tomorrow! This entry was posted in Uncategorized and tagged Amy Butler, fabric choice, folding fabric, Penny Sampler. Bookmark the permalink. Beautiful fabric! So excited to see how they work in your first project! 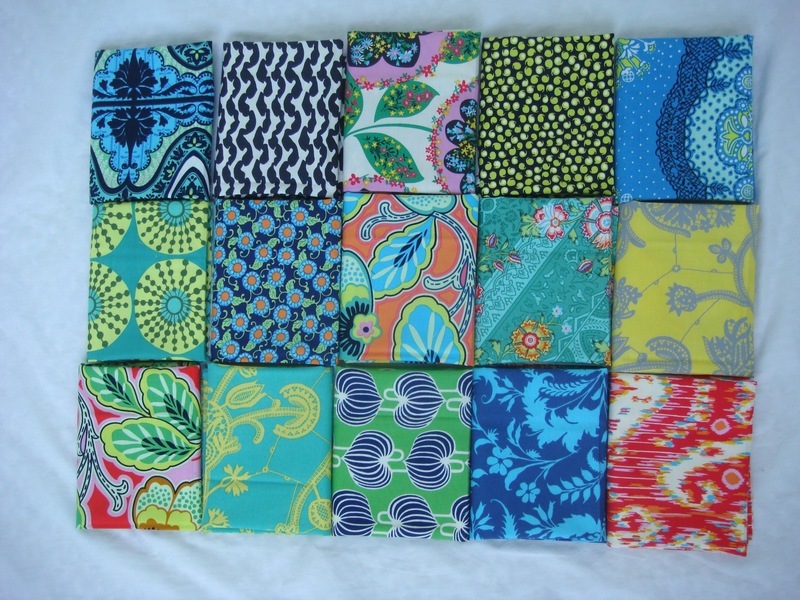 I just ordered my first Amy Butler fabric as well (should be here tomorrow!). Yay! That’s going to look amazing! I’ve been flipping back and forth between doing the pillow or the quilt, i desperately want to do the quilt but i don’t think i have time to start another one! So i’ve cut some DS and Architextures for a pillow. Hoping to get a post with pics up tomorrow as well! Are you doing the sew and turn or freezer paper? 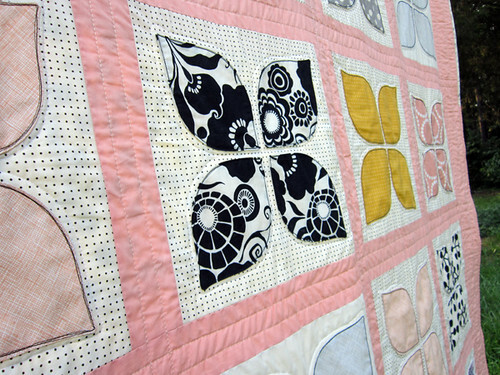 My very first quilt was bound with Amy Butler and i think it was maybe my second? I made entirely with Amy Butler. My little sister is a huge AB fan, and the quilt was for her. I also made her a Weekender out of all AB prints… she even has her home office wallpapered in AB! 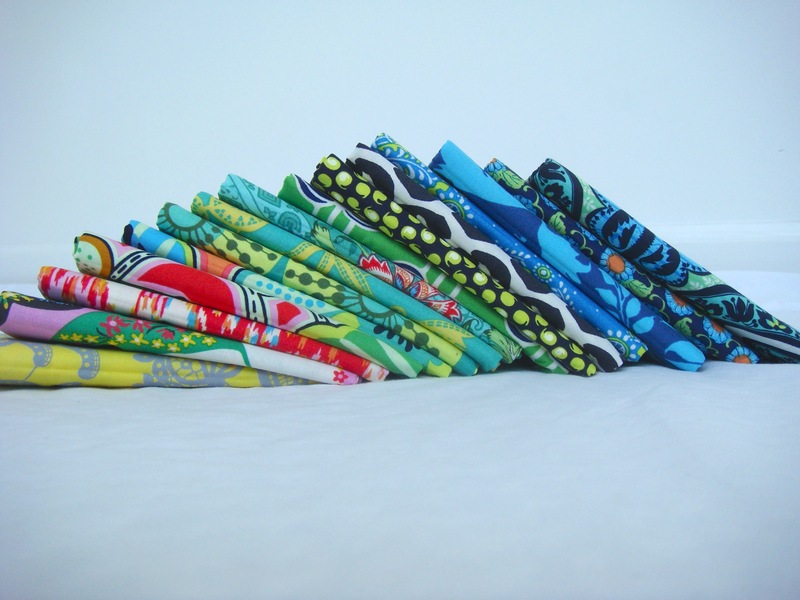 That stack is just beautiful – I love Amy Butler fabrics, and I have a little bit of one of her earlier lines tucked away that I bought when I first started being interested in quilting… but I have no idea what to do with it! I’m waiting for the perfect project to highlight the large scale print. 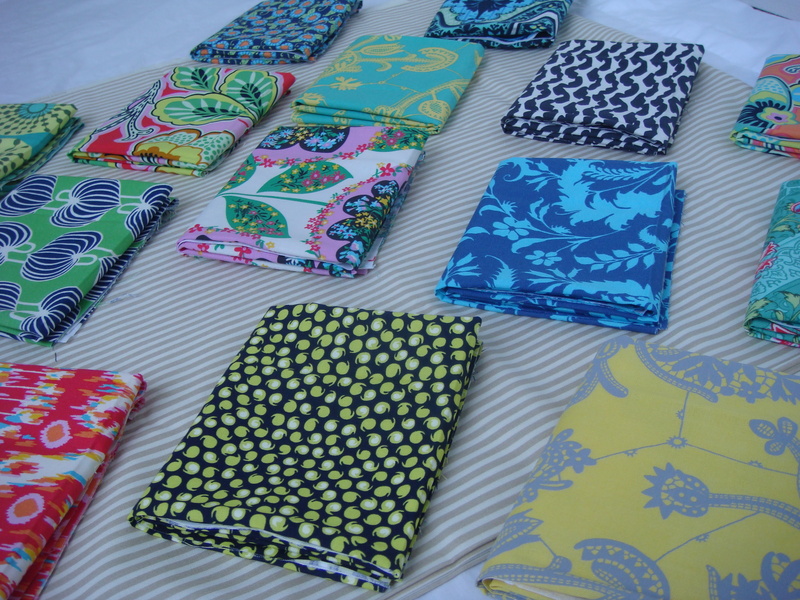 Your quilt is going to look beautiful; the pattern allows the fabric lots of space. I’m so excited to see how it comes together! I’m starting a quilt in the next couple of weeks using that exact same fabric. I love it. In fact, I love just about everything Amy Butler designs. Can’t wait to see more! Yes her fabric is gorgeous. Hey Sarah, I made Ruby a machine quilted vest last year using Amy Butler’s fabrics. My favorite the green and pinks. Beautiful!